"Our professional staff at Pets at Peace ® understands and has experienced the special bond that makes a pet a family member. We consult with you on the memorial options you feel are best suited for your unique pet. 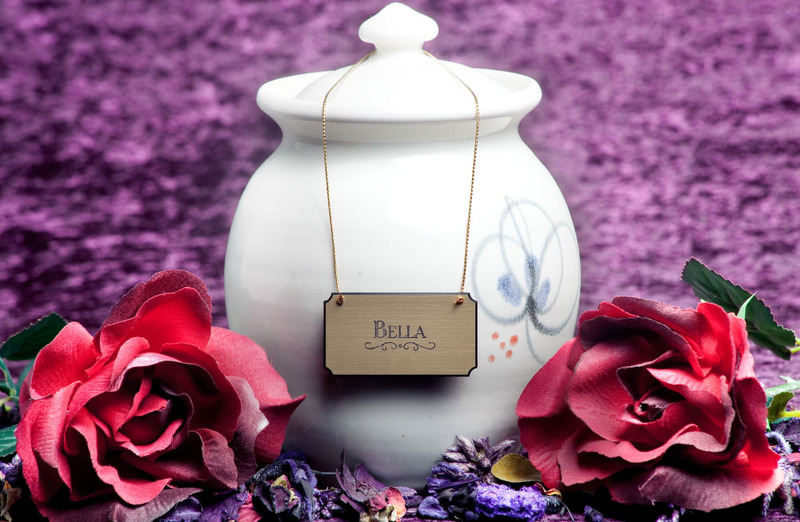 For some pet guardians, cremation is a compassionate choice in that it simplifies the burial process. We offer a selection of urns for you to choose from, to be kept in your home or placed with a loved one or in an exclusive location. Whatever your particular needs, our goal is to provide dignified, caring service for your pet." 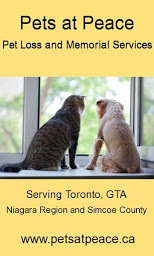 Unseen, unheard, but always near....still loved, still missed and very dear"
When I first started publishing the Toronto Pet Daily, Helen Hobbs from Pets At Peace was one of the first individuals to reach out to tell me how much she loved the site. She was certainly the first proprietor of a pet funeral home that I had ever talked to! Over the years we have shared a mutual love for animals, and a passion toward bettering animal welfare in and around Toronto. Helen has always been quick to offer any support to both myself and needy dogs when the need arises. Earlier this year when a sweet dog named Dacky was killed in a Toronto park, Helen was the first to contact me to see if there was anything she could do to help Dacky's dad. Recently I learned that Pets At Peace has expanded, and I couldn't be happier for Helen, who provides such a wonderful service to people during one of the most difficult of times. The Pets At Peace Niagara Region location is celebrating its one year anniversary this month, and just this April a location opened in Orillia serving the Simcoe County Region. Amazingly the Orillia location has had one family come in from Port Parry and one from Owen Sound!! This shows that more and more people are interested in specialized after care for their beloved pets. When I asked Helen what sets a specialized pet loss service apart she explained, "Although veterinarians provide cremation services, it is just one of the many services they provide and the family sometimes does not get enough information to make an informed decision, questions are not answered in enough detail. The family quite often doesn't even know what to ask. This is where we are different being a pet funeral home - we guide the family through tough decisions, even involving children and their wishes in the conversation. We present all the options available to them such as if they wish to have a pawprint casting, fur clipping, memorial page set up. I've had people say, 'Oh, the vet did not ask us anything and we didn't even get to pick out an urn, they decided that for us.' Having said this, the majority of the calls we receive are for pets who have died at home, and he range of pets we care for are from budgies, hamsters, and pocket pets right up to Great Danes." Helen told me that she has recently had an individual contact her with regard to opening a location in York region to serve the east (Whitby, Pickering, Oshawa). This speaks to both the increasing interest in specialized after care for pets, and the wonderful and caring job Helen and her colleagues have done over the years. Congrats Helen, and keep us updated when a new location opens!